The volatility of BTC can be hard to follow, and a recent poll at Elliot’s blog shows that the majority of voters aren’t investing currently. Perhaps it’s the lack of knowing what is the current price of Bitcoin, that adds to uncertainty and fear. If you’re a domain investor hitting up Bitcoin, there’s some great news for you. RealtimeBitcoin.info displays a weighted average from all major bitcoin exchanges in “real time” – or every minute, to be precise. The web site also displays other calculated values, such as estimated money sent and power consumption to generate BTC hashes. 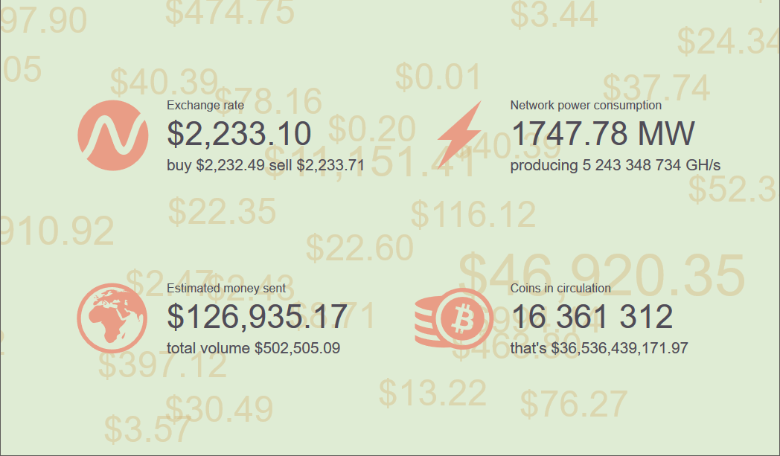 It’s rather cool to watch as well, and you can tweak the BTC exchange rate output in a variety of national currencies. Whether you invest in Bitcoin domains, or BTC as a cryptocurrency, it’s worth visiting.